What’s Astaxanthin? 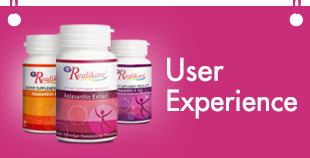 : Why Astaxanthin is Mother Natures Most Powerful Anti-aging molecule? Get more information about Astaxanting, the Strongest Singlet-Oxygen Quencher among anti-aging molecules and why is one of the best for your supplement. - ลูทีน 5% 100 มก. - ซิงก์ อมิโน แอซิด คีเลต (ให้ซิงก์ 5 มก.) 25 มก. Working hours: Monday-Friday: 8.00 a.m.-5.00 p.m.